The benefits of olive oil are seemingly endless. From beauty purposes to health remedies, olive oil has been used for numerous different purposes and has long been touted as one of the healthiest oils that could substitute the regular fats that we consume in our daily lives. However, do we actually know why olive oil is so beneficial for us? Beyond the wonderful flavor, olive oil is known to be naturally free of any trans-fat, cholesterol, salt, sugar or gluten. It is essential for those who want to have a balanced diet without having to miss out on the wonderful flavors of hearty food. So what are the components which make olive oil so beneficial for a person’s health? Although Montemaggio is known for harvesting some of the best Italian winesknown, we are also famed for cultivating organic extra virgin olive oil; Take a look at how you can use olive oil to better your health, both mentally and physically. 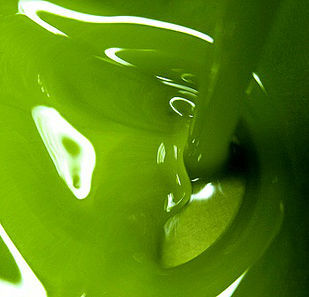 We all know that olive oil is used almost exclusively for skin care, but what makes it so effective? 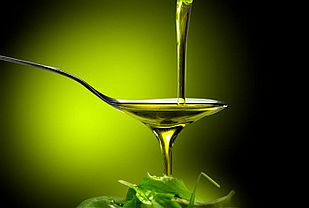 Olive oil is high in antioxidants, known as polyphenols. This antioxidant helps in healing internal cells which in turn protect your outer layer of skin from damage. Along with that, olive oil is also used to give your hair a nice oil treatment as the components of the oil can nourish the hair follicles, increase blood flow and make them stronger. Olive oil contains monosaturated fats which are known to be the good fats for your body. These fats lower your bad cholesterol, and control the insulin levels in the body; thus helping the consumer in staying healthy. Olive oil helps in improving the bone and digestive health, as well. This is because of the extra nutrition components such as vitamin E and K which exist in modest amounts. There are many studies that explain how olive oil is beneficial for the brain. In fact, one study has shown that by incorporating olive oil in a Mediterranean diet, a person can reduce the risk of cognitive impairment. It also gives the brain the necessary vitamins and antioxidants it needs to function properly. Olive oil helps in increasing brain function by boosting two important brain chemicals, namely the brain-derived neurotrophic factor (BDNF) and the nerve growth factor. BDNF is a very important chemical and any increase in its level can stimulate new brain cell formation, decrease chances of any negative effects of stress on the brain and can also decrease the likelihood of depression and Alzheimer’s. These are just some of the benefits that one can reap! Knowing these benefits can help you incorporate it in your meals to better improve your body and refine your health in countless ways. So go ahead and buy some extra virgin olive oil and get started on the road to living a healthier and thus, happier life.